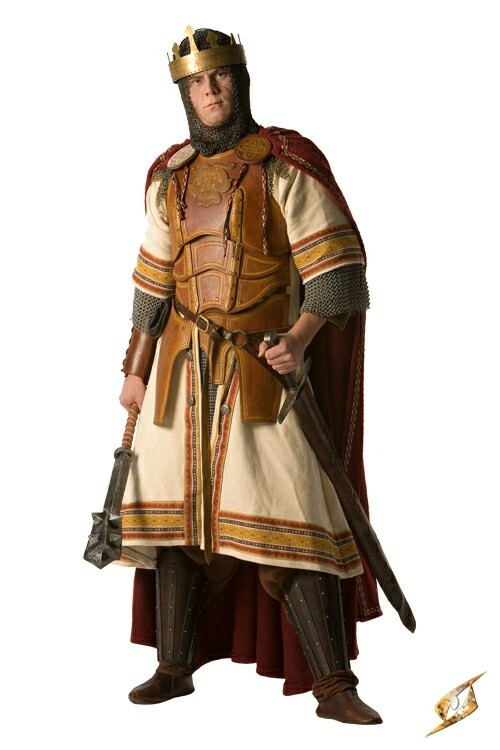 Product information "King Deal Leather"
Many lands revere their warrior-kings and admire them in battle... but even the chosen lord of the people needs protection. The King set is more than regal enough to set even the Emperor of the Inner Kingdoms to peace. He certainly couldn't be killed by a boar. A King deserves the attention of his subjects--his position and power demand such respect--but you also know he must look the part. 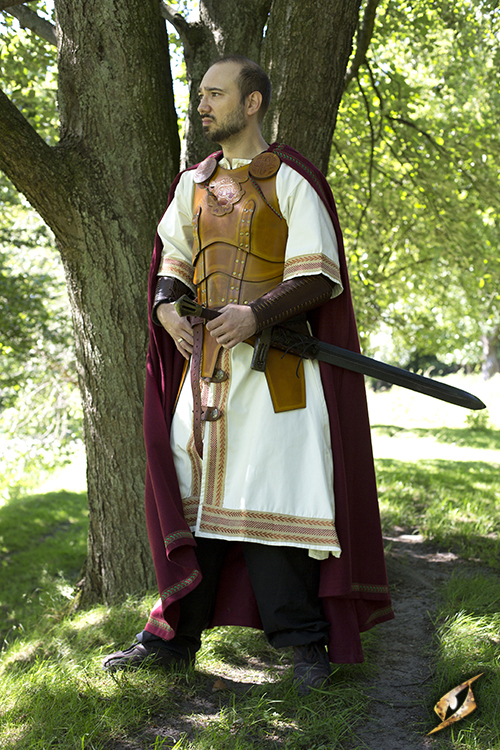 You have hired the finest craftsmen in your land to create armour fitting a King’s status. 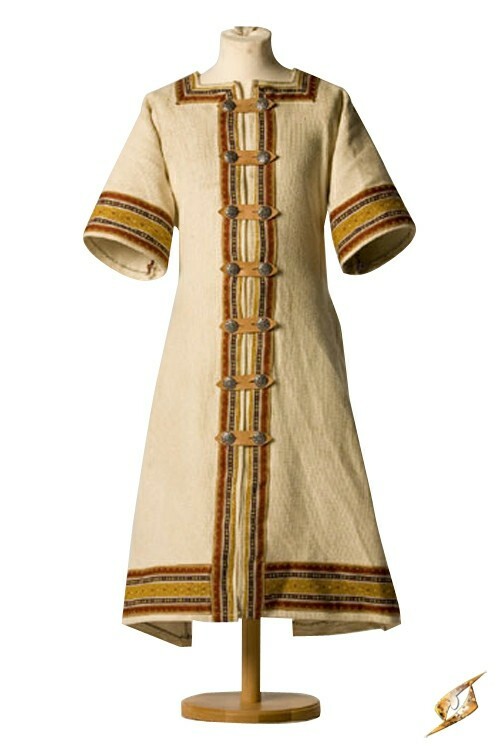 Embroidery embellishes the hems in gold and fine thread. A purple cloak drapes down from your sturdy, confident shoulders. And upon your chest, finely crafted leather with carved detailing marks you as something finer than the rest. No one shall look upon you with anything but admiration. This bestselling armour set includes Epic Armoury’s King Leather Armour, Wool Cape, and Heavy Cotton Tunic in order to fully gear your kingly costuming needs at a lower cost. 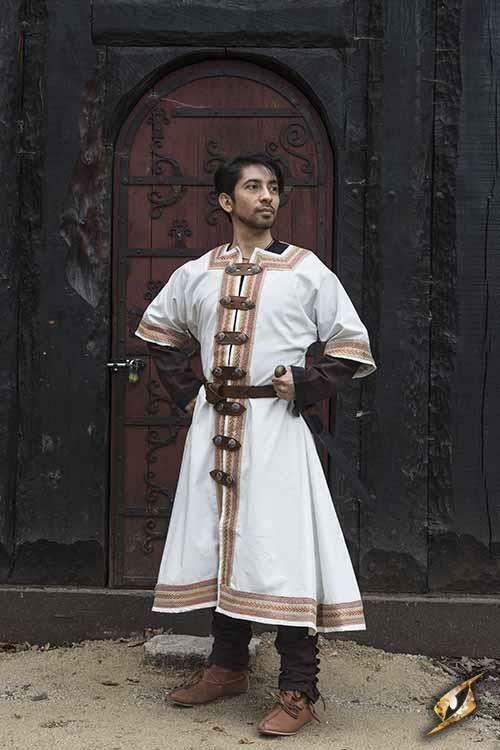 Each piece is made from top quality materials, built to withstand the abuse of a LARP or reenactment while keeping the user safe and comfortable. 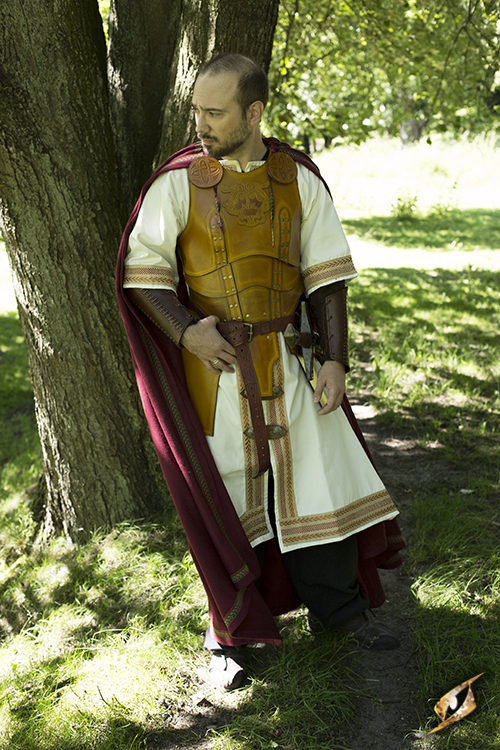 With regular leather care, you can expect this armour set to last for a long time! 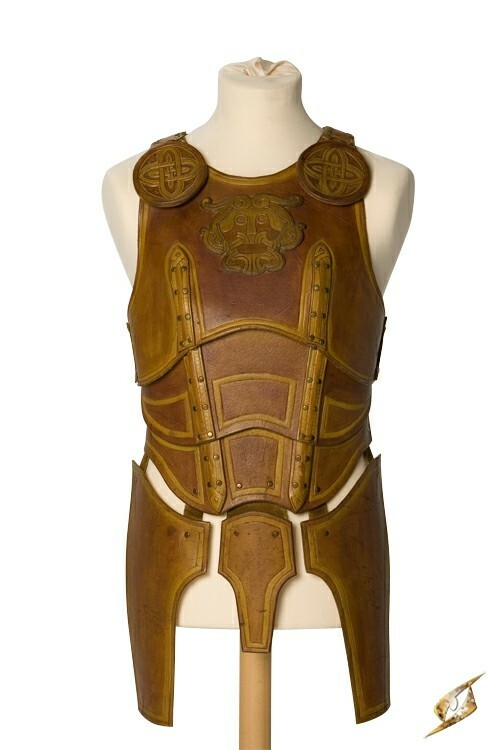 A regal leather cuirass designed to protect the whole torso. 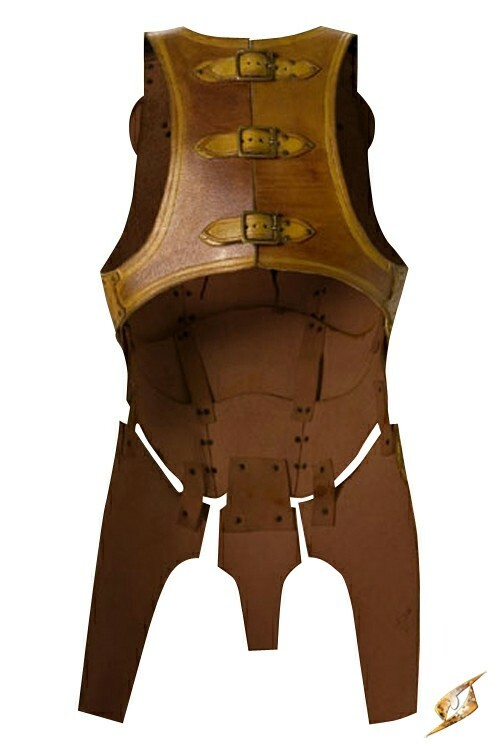 Secure this armour tight over the chest and abdomen using three sturdy leather straps and brass buckles on the back. 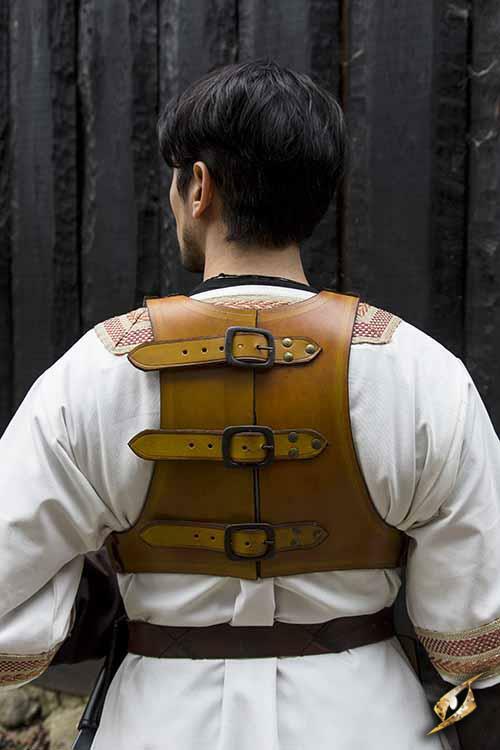 This cuirass is crafted to be especially hardy by stitching together overlapping full-grain leather and secured with brass studs. 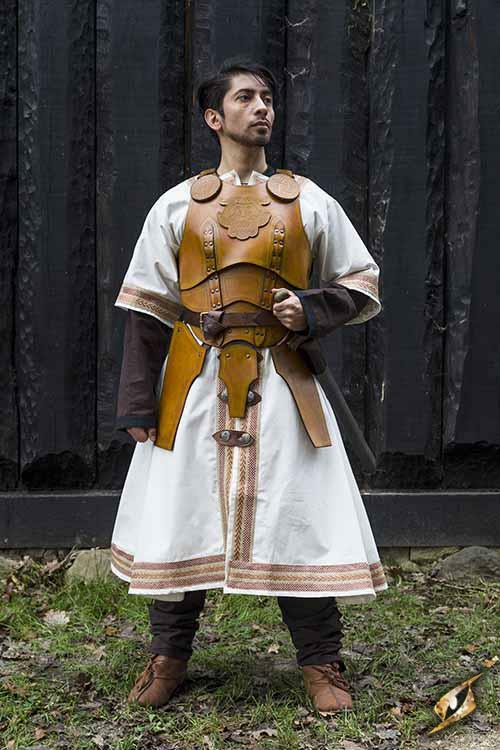 For additional protection, matching upper leg guards are attached to the cuirass with hardy leather straps. 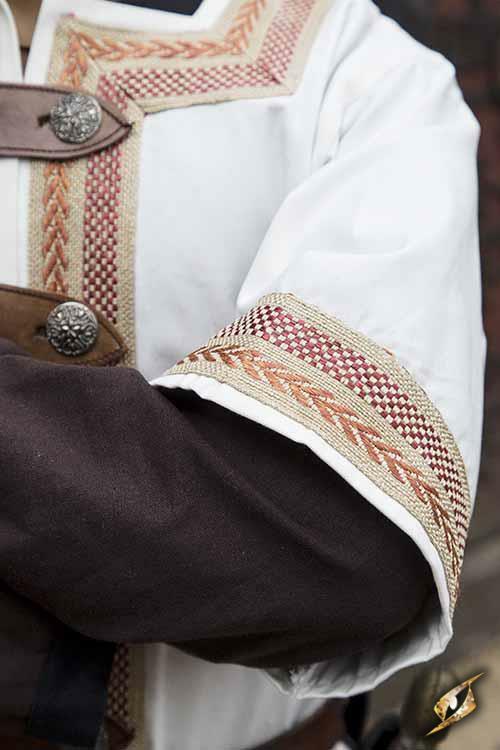 Along the rims of the armour, the edges are bordered with an engraving to unify the entire set. 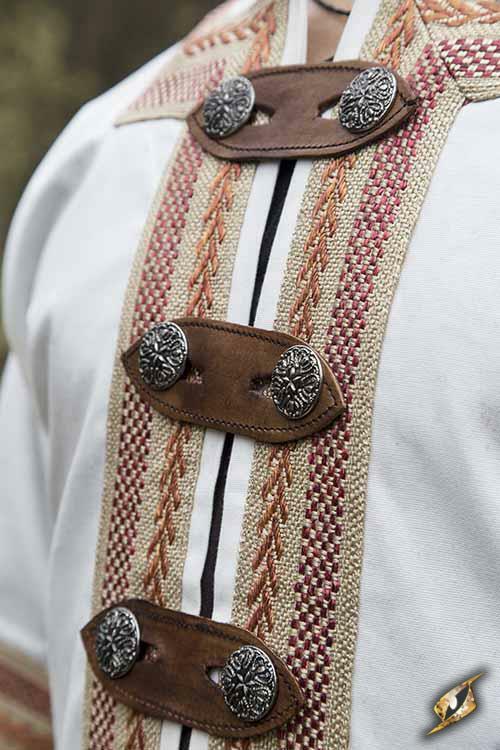 Decorated in Celtic knots and a Celtic Lion on the chest to symbolize protection and power, the effect is an impressive looking piece of armour fit for a king. 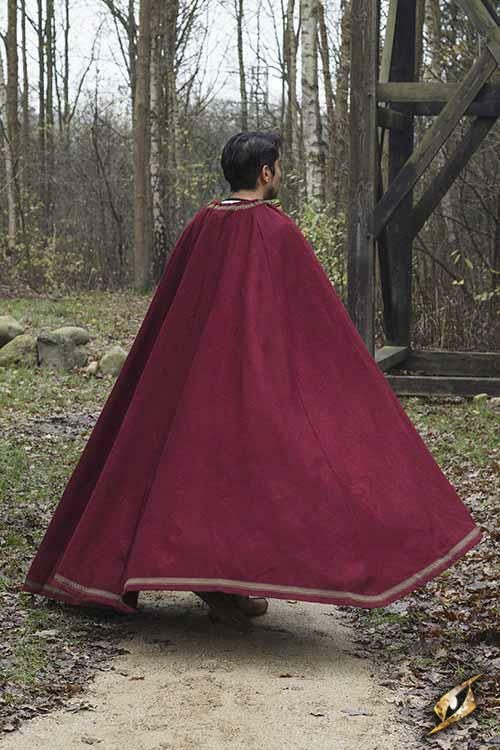 Made from a 78% wool blend, this deep red coloured cloak is made from heavy and durable cloth, making it water-tight except under extreme circumstances. Having undergone a light felting process, you can expect this cloak to withstand the abuse from a LARP without pulling apart. 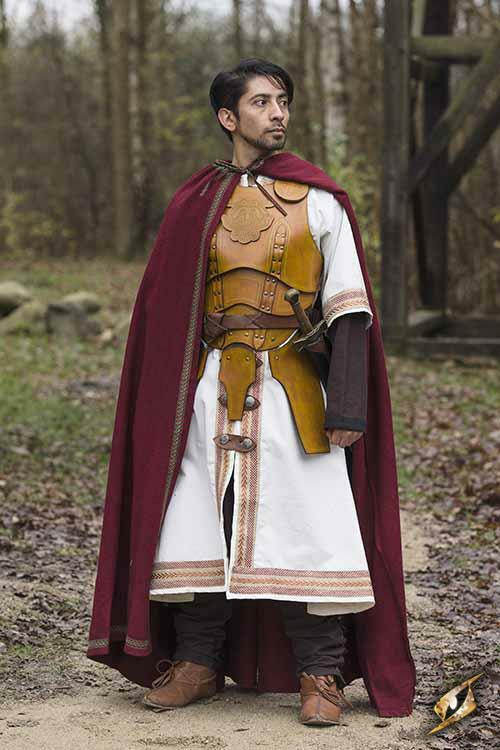 Wear this cloak attached to the King’s Leather Armour at the shoulders to add a regal touch that pulls the entire look together. 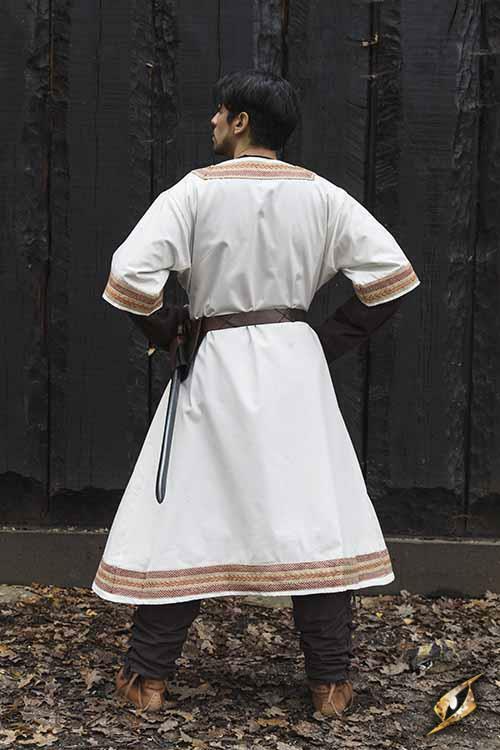 This half-sleeved tunic is made from heavy and durable cloth that drapes well and can be expected to withstand the abuse from a LARP or reenactment. 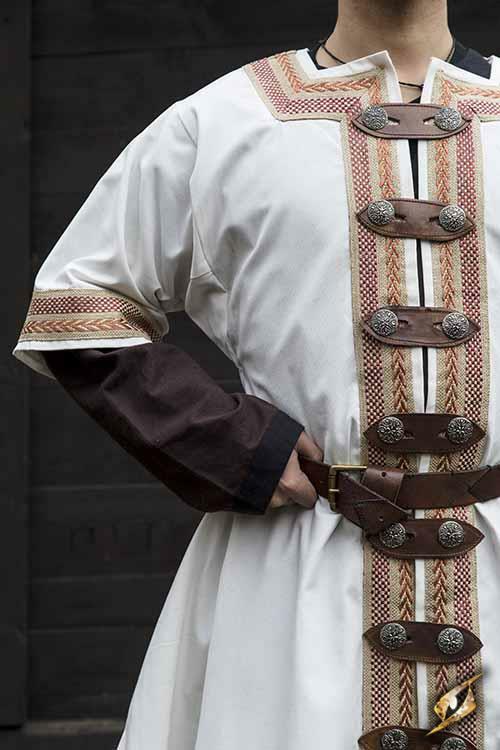 Embellished with golden embroidery and secured shut with celtic knot buttons and leather clasps on the front, this tunic adds comfort and a regal touch that is an essential part of this armour, cloak and tunic trio. Related links to "King Deal Leather"
Customer evaluation for "King Deal Leather"